Fall is here already, and the rainy season is just around the corner. Well over 120,000 people are now unemployed in the Portland metro area. Statewide the number is over 243,000. Unemployment benefits are expiring for Oregonians at the rate of about 500 households per month. Many of these working class people will end up on the streets within a few months afterward, many of them with families in tow. A higher percentage of Oregonians are now without shelter than in any other U.S. state. The best current estimates are that at least 7000 and as many as 10,000 people here in the Portland metro area now have no place to call home. Most are long-time Portlanders. There are at least as many more (20,000 +) with precarious or temporary of these are accommodations. The number of officially homeless people statewide is by now well over 20,000, at least half of which are children. Again, this number is at least doubled if you count those whose housing is only temporary/ short term. Many reputable social workers and social scientists insist that these numbers, as high as they are, badly understate the problem. Many seem convinced that federal stimulus spending will “get our economy moving again.” No doubt, that is helping, but it will not be enough. According to the best economists, because of the risks of hyperinflation, federal stimulus funding will be inadequate to create anywhere near enough jobs for the nearly quarter of a million Oregonians who are now unemployed. Nationally, our systemic problems are serious. While the economy may begin looking better for some, economic forecasters generally agree that we should expect a jobless recovery at best. Experts are also forecasting that Social Security will go into the red next year, adding further to the national debt. Therefore, we believe that we must try to economically (re-) establish a local social ‘safety net’ for our poorer neighbors. A local social ‘safety net’ sounds unaffordable unless you realize that most of our newly homeless neighbors are quite capable of working and caring for themselves. We just need to facilitate this for a large number of people. Our local governments can do this – if only they will cooperate sufficiently. Most of the newly homeless have good work histories. Most would gladly work if work were offered. After conducting about 400 interviews with homeless individuals in Portland since March of this year, the G.R.O.W.S. Committee has compiled informal data which suggests that a majority of the people who are homeless today in the Portland area are newly homeless, and seeking work. The fastest growing segment of the homeless population is that of the newly homeless. The working class are taking it on the chin in this economic downturn. There are simply too few jobs to go around, and the ‘average’ homeless person today is someone who until recently had been working. Most of them are high-functioning, honest, but lacking options. There are many more homeless among us than meet the eye. Many do their best to stay clean, and to NOT appear homeless. Most of the homeless try to remain out of public view, because Portland’s ordinances prohibit camping in the city, even for those with no place to go. Many of the newly homeless sleep in their cars, some in garages, others under bridges, or in doorways. Many are in the woods. Tens of thousands more are drifting from couch to couch, hoping that family, friends or lovers will continue to be supportive. Most of these people do not know how to find food outside of the city’s charitable meal programs, so they are reluctant to travel too far out. It is a matter of eating or not. Yet currently they literally have no right to pitch a tent (or place a covering over themselves) while they sleep anywhere within the City limits. This anti-camping law is now under legal challenge by the Oregon Law Center, but a ruling is still many months away. Public health and safety are increasingly at risk. With such a large and fast growing homeless population locally, there inevitably comes a growing likelihood of crime and disease in the general population. Public health and safety are increasingly at risk. Epidemics are more likely to happen, and to linger. The suffering of seven to ten thousand people caught out in the rain day and night will surely affect the well being of each of us. When the rainy season begins, there will be unprecedented suffering among us here in the Portland metro. This is a growing emergency. The G.R.O.W.S. Committee has therefore come to believe that our local governments must act as soon as possible to establish local work and training programs with on-site shelter. Time is not on our side in this. Thousands of newly homeless people are either not qualified for government housing assistance, or languishing on two-year-long waiting lists. The current approach of local government is to focus primarily on ending ‘chronic‘ homelessness. For most of those helped, there is little to no emphasis on work programs or self-support. Many are low functioning and this is understandable. The Coordinating Committee to End Homelessness (CCEH) is charged with carrying out the Ten Year Plan to End Homelessness. The stated mission of the CCEH is to help end chronic homelessness. This is a good idea because elements within this population are responsible for a disproportionately high amount of police calls and emergency medical treatment. However, this approach – focusing primarily on the chronically homeless – is limited in its effectiveness, in that a shrinking percentage of homeless people are being helped in today’s economy. This approach is also very expensive, involving H.U.D. funding and program requirements tying most housing assistance to ongoing case management. Those who are not mentally ill, nor addicted, nor pregnant, nor in need of protection from a spouse, nor low-functioning, nor otherwise prone to chronic homelessness are generally turned away or de-prioritized. Housing assistance waiting lists are at least two years long. Many higher functioning individuals desperately misrepresent their circumstances to qualify as ‘chronic’ or high risk — in order to be moved up on the lists. Shelters are also forced to turn people away on a daily basis, especially during the rainy season. There are too few shelter spaces. There are too many people being turned away. It’s time for local governments to re-double their efforts, and focus especially on work programs which also offer shelter. most economists agree: "expect a jobless recovery"
The mission which has been given to our local government to help the homeless must somehow be re-focused or expanded to include the newly homeless as well. Their needs are simpler. Most are simply asking for work so that they can again support themselves. The economy is not offering them much hope, and subsidized housing or shelter options are few. D) to allow camping for the homeless on designated public lands as soon as possible, where tents need not be taken down daily. It would be good if all of the city councils and county boards of commissioners across the metro area would do much the same thing. Since Portland has the biggest influence in this mess, Portland’s city leaders should lead the way. If our elected officials are serious about protecting public health and safety (i.e., true to their oaths), they will remain open to this conversation until effective action has been taken. The State of Oregon has its own agency for helping to end homelessness, called “The Ending Homelessness Advisory Council.” This June the State adopted its own “Ten Year Plan.” It gives money to various city and county agencies which address homelessness, and calls for greater coordination among the various county committees to end homelessness. Work + shelter = the most productive workers. Efforts are being made to begin staffing Oregon Workforce Development offices with ‘life coaches’ who will specifically try to get homeless people working. This sounds great, but unless shelter is a part of the deal, this will not make for the best results. It has been established that giving a homeless person a job without also offering them shelter often results in the loss of that job in a short amount of time. For most, it is too difficult to perform well in a job while un-sheltered because of all of the stressing factors – from sleep loss, to bad hygiene, to chronic colds, to low self-esteem. For someone who is flat broke, it can take many weeks or months to save up enough money to get an apartment. Therefore, new work or training programs for the homeless should always involve at least some opportunity for affordable, basic shelter as well. Otherwise, government efforts to place the homeless in work assignments will be less effective, and may lend themselves to exploitation by for-profit employers. Why Not Work With Housing? Reports have come to us that over the last few months, several homeless individuals who have received citations for offenses related to their poverty (failure to pay fines, etc.) have been complying with the courts by performing community service at the new C.R.O.P.S. acreage near Troutdale. This is the new County program started by Commissioner Jeff Cogen which grows produce for direct donation to the Food Bank. C.R.O.P.S. is a great idea and a needed program. But think about this a moment: a homeless person makes their way by bus out to the County gardening program which is aimed at helping the poor, and works all day on the same grounds that were once our County ‘poor farm’ – within view of the same former Multnomah County Home building (the old poor farm’s residence hall, now a McMenamins luxury inn), which a couple of generations ago would have provided housing for un-sheltered people just like him. At the end of his work day, our community service worker gets back on the bus (without pay) and goes back into town where he has to sleep in some bushes in a park, so that he can wake up the next day and have breakfast at a nearby soup kitchen. Then he’s off again to the C.R.O.P.S. program by bus, so he can stay in good standing with the law. There’s something wrong with this situation. C.R.O.P.S. is a good program. But we must say to you, Mr. Cogen: let’s expand the program concept now, and add shelter for the workers who need it! This would be an even better way to help our poorer neighbors locally. As our economy worsens for working people, county ‘poor farms’ would again make good sense. G.R.O.W.S.‘ interview data shows that a majority of the those experiencing homelessness today in Portland, if offered the opportunity, would gladly work in community gardens or on sustainable farms in order to help maintain their room and board on site. This is true of most of the newly homeless, and of a near majority of chronically homeless individuals interviewed. Especially if basic medical care could also be provided as needed, this would be a very kind alternative to life on the streets. The term ‘poor farm’ has a stigma attached to it today. Most poor farms were phased out after WWII, as our economy boomed and welfare programs of every kind were implemented. But those welfare programs have since been significantly reduced or phased out, and the economy now has serious long-term systemic problems. We are told to expect a jobless recovery at best. It is time to shed that stigma. It is time to let homeless individuals decide for themselves if they are willing to put up with the “shame” of living on a ‘poor farm’ — in exchange for the dignity of shelter and self-support. Most we’ve talked to say they don’t care what it’s called as long as it means shelter! Local farm work programs were administered by county governments all across the U.S. for two centuries, most up until the 1950’s, in order to address chronic poverty. Historically, county poor farms have worked well. Compassionate, responsible local governments economically saw to the needs of their poorest citizens in this way. In fact, for many centuries, going back to the Commons of England, the surest and most efficient way to help those poorer members of a society during an economic downturn – those who otherwise had nowhere to turn — was to allow them to work the land, and to subsist. Today, most of us have become so urbanized that we have largely forgotten our agricultural roots. We are all nonetheless an agricultural people, even if one has never even gardened. With proper teaching and supervision anyone can learn a simple, more earthy, cooperative approach. This is what we must try to do if we are to help jump start local economic development. Helping thousands of local people to better help themselves — this can again help all of us through these dark economic times. Remembering What Has Worked . . .
After much research, the G.R.O.W.S. Committee believes strongly that direct involvement by local governments — something similar to the old county-administered ‘poor farms’ approach — is badly needed again these days. Our local governments can and should make this happen. Charities and churches – even with government funding help – are having an increasingly difficult time, and are unable to keep up. Sustainability should be central to such farms. Low ecological impact should be the goal of every such community. Improved health and self-support would be the goals, rather than maximum productivity. To our knowledge, there are as yet no farming/ training / housing communities which are directly administered by local government in the U.S. If our local governments were to develop and administer such programs here, we would be leading the way. As well we should, seeing as how we in Oregon do currently have the highest percentage of homelessness (and third highest unemployment rate) in the whole country! County administered poor farms have worked well for centuries. Call them something other than ‘poor farms’ of course. These days it isn’t quite accurate anyway, since we would place more emphasis on education and a new green economy. “Green work and training communities” would be a more appropriate term, or perhaps just “sustainable farms with housing.” Whatever you call such programs, this is quite achievable and definitely in the public interest. Increased inter-governmental cooperation is needed. Low cost, sustainability, and green skills training are to be emphasized. If such sustainable farms are established on lands now held idle by our local governments, and if we employ experts from local colleges along with volunteers from local charities and the broader community, modern day ‘poor farms’ can be established at very low cost, and with high returns in terms of improved public health and public safety. With low-cost on-site housing (e.g. straw bale, earth bag or other low cost construction), and a big emphasis on skills training for a new green economy, a modern day ‘poor farm’ would more closely resemble a eco-vocational community college. Resident-workers could learn valuable skills as they work. After being certified in various skill sets, they will be in a better position to (re-) enter the mainstream job market. If other micro-business ventures were introduced to well-functioning ‘poor farm communities,’ a community might then become able to pay modest stipends or wages to its resident-workers. For example, government could develop public-private partnerships for the manufacture of picnic tables, or even for solar panel assembly. In cooperation with other government agencies, mobile crews could be trained up for invasive-species-removal crews or landscaping. Revenues so generated might then go toward the development of additional ‘poor farm’ communities as needed, or be considered a return on the investment of local governments. We believe that in this way, our local city and county governments could provide part time work for as many as 20,000 people, with as many on-site shelter spaces, in the next five years. Such an approach need not require any more than part-time hours of resident-workers — perhaps 10 to 20 hours per week — for residents at a well-managed farm to simply maintain their room and board. Basic medical services might also be provided locally, with primary emphasis on teaching/ encouraging basic prevention (nutrition, exercise), and first aid. Opportunities should also be offered for resident-workers to earn various skills certifications while they work. Master gardening, food processing, nutrition, first aid, carpentry, facility maintenance, or forestry might be among the practical certifications offered. This could involve supervision by staff or graduate students from participating colleges or Universities. Such learning and certification might involve more work hours for residents than the 10 to 20 hours per week minimum asked of them for room and board. But in this way, ‘graduation’ from these work/training communities back into the mainstream economy can be facilitated. Real dignity comes through opportunities for self-support. Such opportunities for self support might be offered to as many citizens as are willing to work. As the numbers of un-sheltered citizens grows, it is increasingly in the public interest that our local leaders consider such programs as soon as possible. Given the scale of this economic downturn, government is increasingly the only ‘stakeholder’ at the table which is big enough to effectively help so many un-sheltered local citizens. Handouts are good, but work and green training opportunities are better! In addition to helping to grow their own healthy foods, (often lacking among the homeless), formerly homeless participants could also help to build their own shelters in these modern ‘green work/training communities.’ This has already been done to some degree at Dignity Village (which is as yet far from self-reliant). The better examples are elsewhere, mostly in California, and across the U.S. at charitably-established sustainable farms. Efficient, economic development focused compassion is a good idea in any state, especially here now. Bring in local experts (especially volunteers) in architecture, permaculture, health, and home economics to teach and supervise, and this can be done within our limited public budgets. Certification in master gardening, food processing, carpentry, and first aid might be among the training opportunities offered to resident-workers. We encourage you to do your own research. We believe that you will come to the same conclusions that we have. Since allocated federal stimulus money will not be sufficient to create enough jobs, the economic recovery (when it comes) will be largely a ‘jobless’ one. Under our current government-as-usual approach, hard-working charities and local churches are simply unable to keep up with this fast growing emergency. It is stressful for all. Let’s provide opportunities for people to work toward self-support. Let’s consider trying that which has worked for centuries. Please take some action, as time is not on our side in this growing emergency. Being without a home is so stressful that many of the newly homeless who are now ‘high-functioning,’ given enough time on the streets, may well end up in that awful ‘chronically homeless’ category. The wider costs of sickness and crime are increasing with each day. Time is not on our side while homelessness is fast increasing. With an unprecedented number of homeless people among us in Portland, our long cold rainy season is just around the corner. Let your voices be heard! In addition to giving to local charities with programs which help the poor, please take it upon yourself to write letters to your local newspapers. Most of all, please contact your local leaders! Let’s tell them to think more simply and with greater foresight. The voices of more people are needed, and will surely help, even if you are brief. Let’s all stay informed so that we can help to educate our local leaders, and/or choose more highly adaptive ones. At the very least, we ask that each reader please take the time to somehow further this conversation among friends. The public emergency now unfolding among us will not be solved without much discussion in favor of green work and other self-support opportunities for the homeless. TRYING TO FURTHER THIS CONVERSATION in OREGON . . .
“Tent cities” and temporary emergency encampments are quickly becoming a necessity in cities all over the U.S. Around our country, emergency camping is being legalized in designated, sometimes supervised urban areas – both urban and rural. Allowing camping locally can give immediate stress relief for thousands who are otherwise unable to get a full night’s sleep anywhere.It has proven out generally that such encampments function best if with smaller populations, and when provided with basic support from local government — i.e. porta-potties, trash receptacles, a clean water supply, and compassionate, minimal policing. Tent cities are a only quick fix to alleviate immediate suffering. Nonetheless, for now we do need to allow for tent cities here in the Portland metro. Local government agencies which address homelessness (the CCEH’s, and the Housing Bureaus) have been doing a steady, sure job of increasing local shelter and housing inventories. However, the numbers of newly homeless have very quickly gotten way beyond their reach. Federal aid for housing etc. is forecast to fall in coming years, even while the numbers of homeless are expected to rise greatly. Oregon is now ranked as the worst state in the U.S. in terms of homelessness as a percentage of overall population! We have at least 9000 un-sheltered people currently in the Portland metro area. We must develop local solutions. 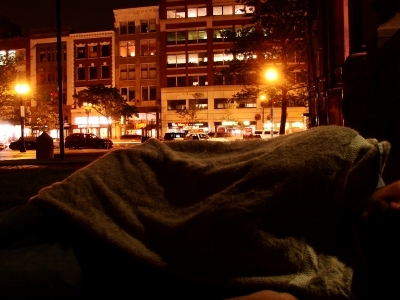 The rapid increase in homelessness is fast making for a public emergency in Portland, Oregon. The longer term goals of The GROWS Committee are to encourage local leaders to work toward developing lots of green work programs, decent low-cost shelters, and therapeutic communities for those experiencing homelessness. Basic, affordable economic development is needed to help people lift themselves out of poverty. With or without jobs, the ongoing inability of some 9000 (+) locals to acquire shelter (not even being allowed to pitch their own tents legally anywhere in the City) does indeed pose a grave and immediate threat to public health and safety. Bold and well-coordinated action is needed soon in order to effectively check the unfolding of many and various public emergencies. We are hopeful, that our elected leaders — at the helm in these perilous times — will take their oaths to protect public health and safety very seriously. We are hopeful that our elected leaders will better recognize soon that there is now unfolding a fast increasing likelihood of serious epidemics and crime waves in our City due to this unchecked crisis of so many among us without simple shelter. The shelter issue in particular needs effective action before the start of the rainy season this year. For Portland City leaders to refuse to allow homeless people the right to put up simple shelter anywhere in the City is bad. To continue to deny record numbers of un-sheltered people any right to legally pitch a tent after the rainy season begins – would be worse than bad. It would be cruel. While our City continues to do a sure, steady job of building or acquiring more long term, traditional low income housing, we can in the meantime provide very inexpensive transitional housing or shelter – simply by allowing well-governed tent cites or other low-impact encampments. The tent cities of Seattle have become proficient at self-policing. Their residents don’t want illegal activities happening any more than the neighbors do. Self-policing in cooperation with local authorities, treatment programs, and health officials has worked out well enough in Seattle. Or if we would allow our fellow human beings something better than tents in the rainy season, imagine ten or twenty better-operated ‘Dignity Villages,’ each with small hut-like homes, a common pavilion, and the basics of water supply, latrines, and trash receptacles at minimum. This can be so very inexpensive. Allowing people to do so on designated lands, in do-no-harm ways, is not a new idea. It is in our instincts to live so during times of economic depression. Our local governments simply need to begin better facilitating this – out of economic necessity, if not out of respect for the basic human needs of our poorer neighbors. What those experiencing homelessness need is the same as what each reader needs: a safe place of privacy where they can sleep, tend to their health, enjoy down-time, and store a few things while they figure out where to find work in this declining economy. Each person living out-of-doors needs immediate relief from the ongoing stress of constantly being told to “move on.” To believe otherwise is cruel. Therefore each a person should at least have a right to pitch or build their own simple shelter – if in the locally prescribed “proper place, time, and manner,” as regulated by local governments. Shelter should be a right in every U.S. city! In California the debate has gone on and on, but they have a more realistic grasp of the real financial numbers coming down already there, and they have in many ways facilitated temporary shelter programs and tent cities. shelter IS a human right. Whether or not our local leaders or police recognize this, other authorities say this is so. Here in progressive Portland we understand that shelter should be a human right. Let them build their own, at least – in designated places! Some would say that the our homeless neighbors are “capitalism’s refugees.” Some well-traveled folks I know say that we are creating a sort of “caste system” here with our shaming and our laws against poverty. Even the United Nations High Commissioner on Refugees would have to give Portland low marks for its criminal treatment of the homeless, and especially for the taking of their few possessions in ‘sweeps’ by both police and private security services acting under the color of law. Here in Portland, out near NE 33rd and Marine Drive — sited between a huge compost operation and a prison, right at the end of the #73 bus line — is Portland’s only legal encampment on public lands. Dignity Village began as a protest encampment, and they have moved a few times before landing with City approval at their current site. D.Village is now a non-profit with a population of just under sixty people, and its population is currently capped at sixty. Dignity Village practices ‘self-government.’ At last check, their Council meets every Wednesday at 6 pm, on site. The Village requires residents to pay $20 per month to help keep up the Village’s insurance, and they require each resident to perform a minimum of ten hours of work weekly – to maintain their site and its common spaces. Currently D. Village also manages operation of three micro-businesses: a City-approved food vending cart (operated at Parks, events), a small garden nursery business, and an “e-bay store” on site — all of which help them toward self-support. They are well short of the ability to maintain themselves without ongoing donations or grants, however. That community has gone through a lot, and offers many lessons both about how and how not to develop. Some corruption is still reported among the leadership there. But like any community practicing self-government, things tend to get better with more participation. There is enthusiasm there at their council meetings. Dignity Village, as imperfect as it may be, is helpful as a transitional housing site for Portland, and residents enjoy some dignified housing and some excellent programs there. This is a much less expensive way to house homeless people than the ‘permanent supported’ single-resident-occupancy housing approach. More poepl who are now on the streets could be housed if there were many more D.V.-like projects. There are, however, still well over nine thousand people among us locally with no place to find legal shelter within the City! Many without housing wish they could get into Dignity Village, but “getting in” there is not easy. Insiders there report having to turn away campers on a regular basis. In the coming years, Portland will surely need more than one ‘temporary encampment’ to care for its growing homeless population. This will require planning and ongoing cooperation by our local governments and charitable service providers. Thousands of additional shelter spaces are immediately needed. The City would also do well to make sure that new leadership at such encampments are clean and sober. Addiction problems at Dignity Village are persistent and serious. Legalizing some camping in Portland will surely help the overall crisis here, as it has elsewhere in the U.S. With a large number of otherwise unsheltered people camping legally outdoors, then the various well-established shelter programs now operating in the City could more easily give ‘indoors-with-services’ priorities to women with children and to people with disabilities. Increasingly, this is a triage situation here in Portland. WHERE to locate the ‘tent cities’ or other emergency encampments in the Portland metro? Keep in mind that many of the services offered for poor people, as well as possible jobs, tend to be available mostly in the City. Therefore, it would be best that those un-sheltered people who are working in the City (or who are actively looking for work in the City) should be allowed to stay in temporary shelter or encampments near to the City Center. Real Dignity Comes Through Self-Support! It would be inefficient, and not as kind, of our government if they would allow homeless encampments only at the far outskirts of Portland. In the long run, ‘tent cites’ are not a solution. But if managed properly, they can offer immediate, temporary relief to thousands of otherwise un-sheltered people who are too often unable to get a good, safe night’s sleep. Encampments for the homeless already function well in many U.S. cities. Even when located near residential areas in Seattle, it has been shown there that crime has not gone up in those neighborhoods near the homeless encampments. The residents themselves of Seattle’s tent cites have long practiced a highly cooperative ‘self policing’ method – which, in cooperation with area police, effectively excludes active violent criminals from THEIR tent community. With the help of local treatment programs and community oversight/support, this has worked well in many cities. It can be a way to quickly give the dignity of shelter to many people otherwise without options. Poverty is NOT a crime! Temporary ‘tent cities’ are being permitted in many large cities already, so why is it that Portland’s Laws still have us shewing away our huddled masses, knowing full well most of them have nowhere good to go? We should not be ashamed of poverty here in Portland. It is everywhere growing in the U.S. – and you know that there but for the grace of God go any of us. It’s good karma to help the homeless – especially if you help them to help themselves in some well-governed way. We believe that each responsible, housed and employed citizen should be thinking about lowering their personal consumption levels anyway, given the times we’re in. Since simplicity is good, then perhaps so is poverty! Since thousands are without shelter among us locally, we would do well to allow encampments here in Portland – before the rainy season begins! We must demand that our local leaders take the lead in this. We must not let them tout past accomplishments while they continue to coast along with the high-dollar-low-results status quo. Time is not on our side. The scale of the crisis is too large for private and charitable intervention alone. Let’s have faith in our abilities as citizens to advance this serious discussion. Please write or call your local leaders. We should also be talking with our County and State leaders as well — throughout the Metro region. For contact info. re/ our elected officials, and ideas about how to talk with local leaders , see this Blog’s ‘Recent Letters’ page, or go to http://www.portlandonline.com/ for the names and addresses of Portland City officials. Peace & thanks for reading. Oregon now ranks first in the U.S. in per capita homelessness. Economic Development With Lots of Green Jobs Badly Needed Locally. Statewide there were over 17,000 homeless people on a given night in January 2009 — up 37% from the 2008 statewide count. Oregon now ranks FIRST in the U.S. for per capita homelessness. A higher percentage of us locally are without shelter than in any other U.S. state. Maybe its the lovely winter. Whatever it is, there is unprecedented suffering among us these days. Of the 17,000 identified as without shelter in January, it is estimated that at least half this number is in the Portland metro area. Many of these un-sheltered people are newly homeless families with children. Many have good work histories up until recently – the start of this modern Depression. The trend is clearly for fewer jobs available each month, while the un-sheltered population grows. Twice this number of people are in if-y temporary housing and without shelter periodically. These cold numbers amount to unprecedented misery among us. The sleeplessness, fear and uncertainty experienced by the homeless can lead to debilitating despair or desperation, which lead to higher (and costlier) rates of crime, domestic abuse, and health problems of every kind. Thousands now homeless among us currently have no right to legally sleep anywhere in the City, while our system of official shelters and temporary housing can at best accommodate only a fraction of these sleepless people. Note, Dignity Village is currently the only legal encampment allowed by our City leaders, and can accommodate only about 60 people. The other 5000 + must all literally hide in order to sleep – in order to be kept from being harassed (or assaulted), and told to, “Move on!” This is a dangerous situation – especially for the growing number of women sleeping outdoors. Lots of green JOBS and SHELTER spaces are badly needed, soon! We must insist that our City leaders wake up about the true numbers — not allowing them to be in denial about the real SCOPE of this suffering, nor the gathering momentum of this trend! The newly homeless is a diverse population. Most of them are ready and willing to work – if there were adequate economic development to create jobs. Portland could, in cooperation with local counties and our State Legislature, consider creating ‘green economic development zones,’ wherein formerly un-sheltered local citizens could live, work, train, and eventually ‘graduate’ with new green economy-focused skills. In cooperation with highly accredited local colleges or Universities, willing workers could be given opportunities to become certified in a wide range of useful green skills. There would need to be various kinds of green work communities. Sustainable farming communities could be developed to affordably house and employ (at least part time) thousands of local citizens who currently have no means of self-support. Such communities could also have workshops, where resident workers could manufacture items to be sold by their community, or to be used directly in the improvement of their community (or other sustainable communities). Among us URBAN-dwellers, this ‘farm-like’ approach may seem a bit foreign or old fashioned. The fact remains that we are still very much agricultural creatures. We would do well to re-learn this, and re-teach it. Multnomah County Home, the main residence hall for our old 'poor farm' (now McMenamins Edgefield) efficiently housed up to 350 people. We would need to create several housing/green-work programs locally in order to accommodate even half of the 17,000 (+) who are now homeless statewide. The duty of providing opportunities for self-support for our otherwise un-sheltered neighbors must fall to our local governments, because charities are having a hard time keeping up with the fast growing numbers. Among the many charities locally which are doing the best they can to give food and/or shelter, few of them have the resources to be creating many jobs. Green jobs created by the County/ Cities could be as cheap as strawbales, some hardware, gardening tools/ supplies, some goats or chickens — provided along with occasional medical help and some agricultural training on dedicated public lands (suitable for agriculture) now held idle by our local governments and the state. This providence by our local governments would be in addition to, of course, and not in lieu of the good work ongoing of our local charities and churches. The human costs of inaction in this economy are already unacceptably high. The suffering of the un-sheltered will inevitably affect each of us. Whatever the start-up costs for programs aimed at greater self-reliance for those without shelter, the cost can be justified when weighed against the (terribly undermentioned) ‘external costs’ of unchecked rising crime, and public health emergencies of every kind! Besides just farming . . . Besides sustainable agriculture, modern day ‘green work/training communities’ could also take on such economic development endeavors as solar panel assembly, woodworking, fisheries management, wetlands restoration, removal of invasive species or trail maintenance in our local parks, the operation of vending carts, operating a cafe, etc. etc. For resident-workers who want to commit to educational programs, a well-governed community should offer educational certification in various work-skill sets. They would be able to train and get certified in the work they learn to do. Residents at the old Mult.County poor farm worked part time hours (perhaps 15/week) for room and board. There should be emphases on ‘old-fashioned’ methods of self-reliance, as well as on the emerging needs of our modern green economy. A modern day ‘poor farm’ would more closely resemble a vocational or community college with on-site transitional housing, and with basic medical provided. Other services could be offered as needed, depending on the population. Re-establishing a localized “safety net” for our fast growing un-sheltered multitude means we should have all options under consideration. Where are our City and county leaders in this? We need something like the old ‘poor farms’ again, and soon. We should look at all options — that’s all we’re saying here. There are plenty of idle public lands which might be used to help employ and house the poor. New jobs are few, and traditional housing is becoming less and less affordable for thousands more people every month lately. Currently, the City of Portland and the four counties of the metro area are trying to determine urban growth boundaries and rural preserves — as part of their longer term ‘comprehensive planning’ for our Metro area. This would be a very good time to be asking the City/ Metro planners to consider setting aside some public lands for the purpose of facilitating formation of green-work/training-focused communities for the homeless. Properly planned, we could develop low-cost encampments on public lands which are largely self-supporting — provide immediate opportunities for green work, green training, nutritious food, and housing for people too poor to afford these currently. Thinking ‘outside the box’ of traditionally expensive H.U.D./Portland Housing Bureau expensive definitions of “housing,” we can and should be facilitating alternative housing options — including straw bale, earth bag, cord and cob construction. Using these less traditional methods, we can stay within our limited public budgets, while providing housing for far more people who would otherwise languish on impossibly long ‘housing waiting lists.’ Properly built, such alternatives are strong and clean, and best of all, affordable. Note: there is growing support for such alternatives locally. There are also thousands of students at Portland State University, Oregon State University, and colleges around the State who are keenly focused on systemic change. These and other forces of change are looking at the status quo and the forces of resistance in Portland, and wondering how to come together more effectively. There are also thousands locally who would be willing to volunteer to help teach the homeless how to garden, or how to improve their diets, or how to build and maintain their own high quality shelters, or how to otherwise help themselves. This gigantic volunteer pool is simply awaiting BOLD leadership from our elected leaders. Please write, call or visit our local elected officials to encourage them to think more about efficiently COMBINING programs — such as gardening projects which could offer green work and training along with housing, and good nutrition. Please contact your elected leaders! A Closer Look – by our friend in Victoria, B.C. Poverty and Inequality in L.A.
Woodwynn Therapeutic Farms, Victoria, B.C.